Shuba, the youngest of 10 children, grew up in Youngstown, Ohio, in a family of Czechoslovakian descent. He developed a love for baseball at six years old. Instead of playing in an organized little league, he and the neighbor kids played ball right in the street. He attended Catholic grammar school at Holy Name Elementary in Youngstown. He recalls the nuns being very strict, which helped him become disciplined at a young age. His brother was a priest, so he was constantly surrounded by Catholic influences. Before every meal, Shuba and his family would recite a Slovak prayer — a tradition started by his mother and brother. He continued to say this prayer each day during his baseball career and still carries on the tradition to this day. In the mid-1940s when young men were being shipped around the globe during World War II, Shuba was dealt a different hand. He sustained an ear injury while being disciplined by one of his teachers as a child, so he was unable to enter the U.S. Army. 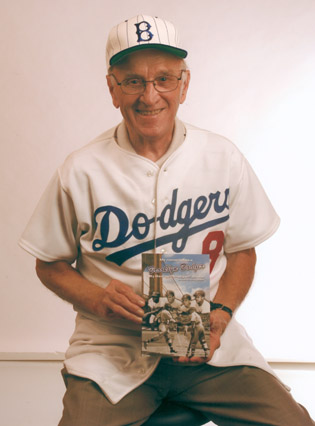 Instead, Shuba attended an open Dodgers’ tryout in 1943 at age 17, after finding out about it from his friends on the street. Though Shuba signed with the Dodgers following his tryout, his father, Jan, was not on board with the decision to pursue a lofty career path. Jan worked at the mills in Youngstown, a steel-manufacturing town. Shuba worked on his swing every night by hanging a rope from his ceiling and tying knots to represent the strike zone. Ref: http://thetablet.org/faith-inspires-shotgun-shubas-baseball-dream/ OOTdevelopments’s first picture.